Amandla! The first thing that struck me when I read your article Alternatives to individual land titling was that of course everybody else in the world is talking about expropriation without compensation. Your article hardly mentions it. Why is that? Ben Cousins: The expropriation without compensation debate is essentially a distraction. It is not the main issue in land reform. The real question is: who do we want to give land to? For what purposes? How are they going to hold that land – with what property rights? And how are we going to support them? How do we secure the rights of the 60% of South Africans who hold land and housing outside the formal system? 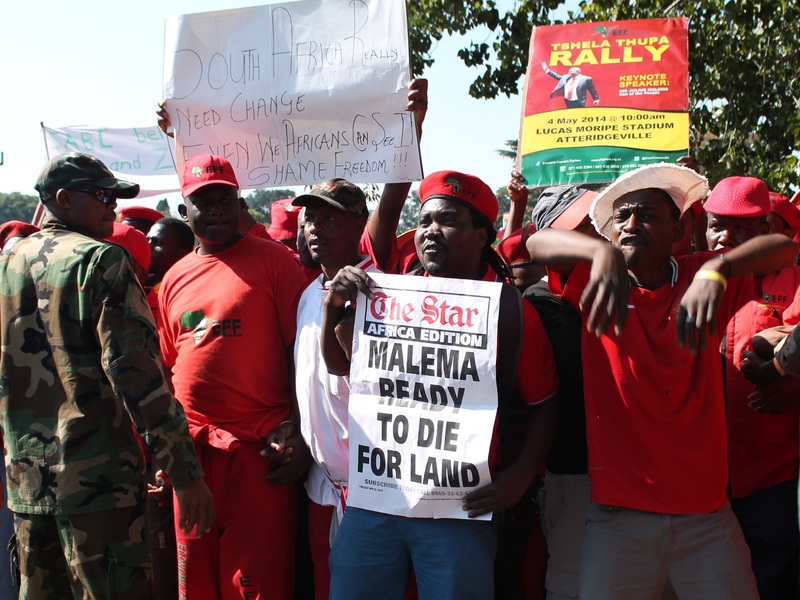 The other big reason for writing the article is because the mainstream believes that security of tenure comes from title deeds – individual private property rights. It’s a kind of big idea, which has gripped people’s imaginations. And if you say to them no, there are lots of people who don’t want it and for whom it would not be appropriate, they get very cross with you. A! : So you say two things: you say firstly it’s not realistic to provide title deeds and secondly you say that there’s loads of examples around the world that show it’s simply a myth that you can use your title deeds as collateral to start a business. BC: This is an idea propounded by a Peruvian economist, Fernando Da Souta, who wrote a famous book in 2000 called The Mystery of Capital. It was seized upon by many mainstream politicians around the world as an answer to poverty. He says that the poor around the world own trillions of dollars in assets but these are not recognized in law; they are not formally titled. And as a result, they cannot work the magic of capital. All we need to do is give them formal recognition in the form of titled, individual private property. People can then borrow money from the banks and they can all start businesses and that’s how the West became wealthy. That’s his simplistic answer. And masses of researchers around the world have gone and investigated these claims and found them to be empty – even in Peru, his own country, where they embarked on a major titling exercise. The knock-on effects in terms of reducing poverty are minimal, miniscule. In South Africa research has revealed that people who haven’t had houses for example in urban townships under apartheid, and were given ownership subsequently, are reluctant to put up these homes as collateral for loans for risky businesses. Because small business routinely fail. There’s an 80% or 90% failure rate. A! : You write about “robust alternatives to titling, in the form of laws and institutions that recognise, oversee and support rights that are shared in character, not individual, and that are embedded in social relationships”. What does that actually look like in practice? 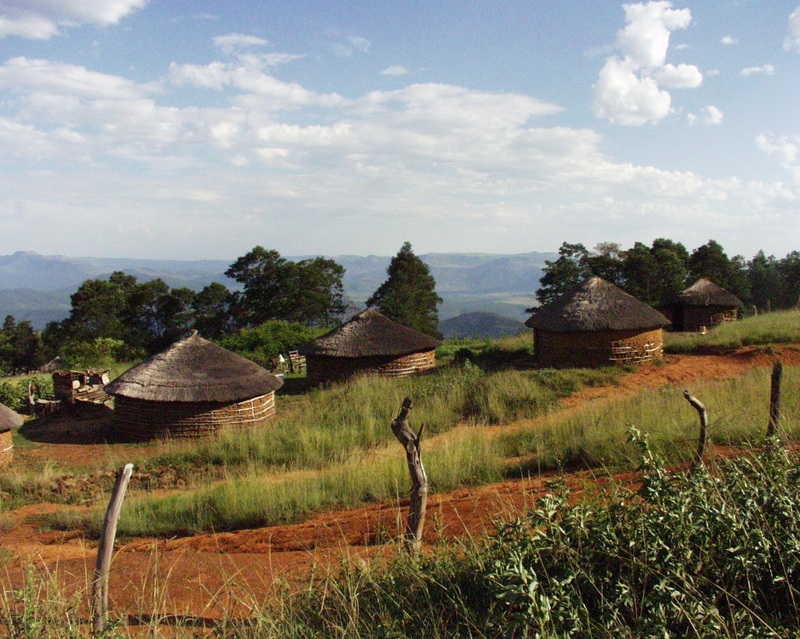 BC: I have done research for ten years in Msinga in KwaZulu-Natal, in two very large rural communities under traditional leaders – customary tenure, communal tenure. What I found there echoes what I found in research in Zimbabwe and in other parts of South Africa. It’s a community-based property rights system. You get access to land as an entitlement of recognised membership of a group. It is a kind of equivalent to an entitlement of citizenship. In the past, this would have automatically entailed arable land and access to common grazing and common water. For most people it’s inherited, but you can enter into groups, through well-known and regulated processes. You have an obligation to respect the boundaries of your neighbour’s plot or fields and the rules of the commons. If there are animals that you are grazing in the commons, if they damage someone else’s crops, you have to pay damages. So it’s a socially embedded system and that’s why I say it’s about social identities and social relationships. That’s why we give it this term “Social Tenure”. Because the rules are really about society, being a member of a society with rights and obligations. A! : You talk about adapting the formal system to give it recognition. How would you do that? BC: There are two proposals on the table. The one is to give it formal recognition and to issue a document; to record and register a right within a communal system. This would be a shared right. The holder of those rights could then bring the document to court or any other dispute resolution process. That’s the proposal in the report of the High Level Panel of Parliament for a new Lands Records Act. There is a second proposal, which is the one I go with. Formal recognition through a bureaucracy is unlikely to be able to capture the subtle realities on the ground. The boundaries of land in these systems are flexible, in my experience. It is a key characteristic which makes social tenures different to private property, which is based on a surveyed boundary, represented on a diagram and able to be taken to a court. In these systems, the boundaries of an individual plot of land expand and contract depending on who’s living there and who gets invited to come and stay. It strikes me as a very daunting task for a bureaucracy to go and capture that shifting, changing flexibility on the ground. So my proposal would be that what we do is recognise and support the institutions at a local level which oversee these kinds of process. We could invest in institutional strengthening, and provide recourse if disputes occur. At a local level, the village or the ward would have powers of oversight. We would require them to have regular meetings and to have records of decisions. And if there is a major decision to be taken, an official would be required to be present to make sure that adequate notice of the meeting had been provided, that democratic processes had been put in place, etc. Rather than trying to convert it into something very sophisticated, let’s rather give legal recognition and support to existing local processes. It seems to me more practical and pragmatic and realistic in the short run. A! : If you support that form of social use and occupation ownership of land in a traditional kind of environment, that would involve small-scale agriculture. And there are those who would say no, that’s the past, that’s not the future. BC: In the long run one would agree. But how long – how far away is this future? We have, in real terms, 37% unemployment. And people are moving to towns and cities looking for jobs. Often they don’t find them and they end up in informal settlements, standing by the side of the road or selling clothes hangers to motorists. So it would seem to me that, in the interim, support for small-scale agriculture makes a lot of sense. 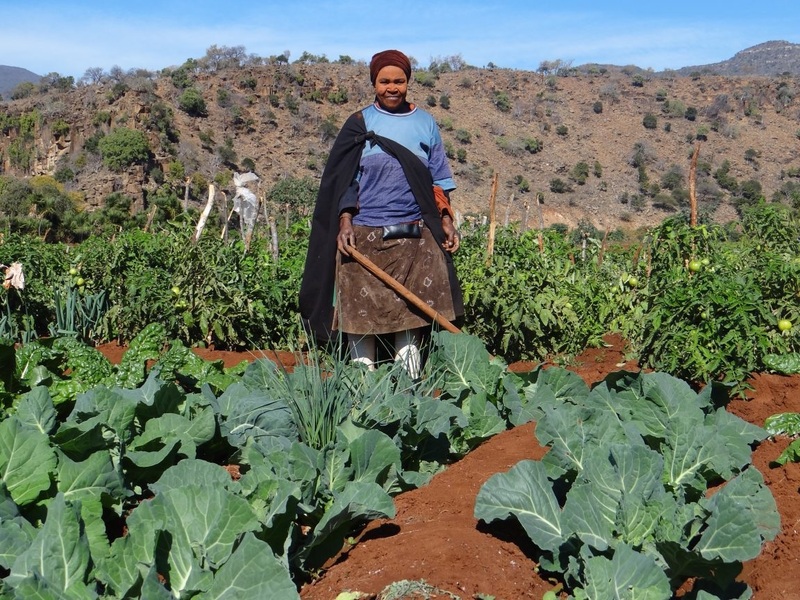 And it also seems to be clear from other African experience, like Zimbabwe’s, that small scale farmers can be highly productive if we provide them with the appropriate methods of support, including access to markets. In fact, there already are very successful market-oriented small holders – at least 200,000, possibly double that, in South Africa. Now, I don’t think it’s a general solution for rural poverty. We definitely do need formal sector jobs on a large scale that have to come through some form of industrialisation and linked processes. And that’s to me the major challenge facing our society, that is our priority. I think there is a place for large scale agriculture in South Africa, I don’t think it’s a matter of either/or. But we have got a bit of a missing middle here, where we have these very small plots in the homelands, on the one hand, and very large farms, on the other, and very little in between. Land reform can help fill that gap, with small to medium scale enterprises. And that’s why I think it’s necessary that land reform create opportunities for hundreds of thousands of producers through redistribution of White-owned commercial farm land – up to 60 or 70% of it. There’s no way that Black commercial farmers can fill that gap on their own. There are too few of them. It has to be smallholders of some kind. A! : So you would take currently White-held farmland and put it in the hands of small-scale farmers? BC: Yes. There are two kinds of production systems in which smallholders are already competitive. Firstly, irrigated fresh produce. Secondly, livestock production – cattle but also sheep and goats. I think it’s very difficult with grain farming, where you do get economies of scales, where you do need combined harvesters and so on. So I wouldn’t suggest that we try to get smallholders to compete with that. A! : But then isn’t this where expropriation without compensation would come back in? You would take White farms and resettle people on them? BC: You would acquire them and redistribute them through land reform. That’s a different question too. If you expropriate with or without compensation in a system where we are governed by the rule of law, you have to do it on a case-by-case basis. The more you depart from market value, the more likely it is that it will go to court. The courts will get clogged up with a hundred land expropriation cases very quickly and it will take a long time to resolve that. If we go the route of expropriation, what has been a very slow land reform program to date will become even slower. So it’s not a realistic route to speed up large scale land reform. A! : So how do we get access to that land? BC: What we need to do is agree that the constitution doesn’t require market value for an expropriation, but it doesn’t have to require that transactions be at market value either. Suppose the government makes an offer to a farmer for a farm, let’s say at 30% below market value, and the farmer says, “no, I want full market value”. The constitution says that for land reform purposes what is appropriate is “just and equitable” compensation. So the government says: “if we can’t agree on a price, we are going to expropriate you. Wouldn’t it make sense for you to sell?” In many cases, if we have a new set of norms established, it will be quicker and easier to sell at that price. So you can have the threat of expropriation but you should actually aim for large-scale rapid land acquisition through negotiated purchases, but at less than market value. A! : But then if you have a rapid process of land acquisition in that way, you have a huge challenge of supporting people on that land. BC: I think one has to be realistic about support. We don’t have a strong state and we don’t have a state with a lot of money. So again, I think one has to not promise the world. You have to say we are giving you access to land. We will recognise your rights. If there are water rights, we will reallocate them to you. We are not going to put in very expensive irrigation. We will try to put in gravity-fed schemes which are simple to maintain and which can be very efficient. Or we are going to give you grazing land. We will do what we can to support bakkie traders – buying and selling livestock and fresh produce, for example in farmers markets in small towns. Other than that, we don’t have that much to offer you, we don’t have huge amounts of money to capitalise your ventures. You would have to do that over time yourself. Now the one implication, a very uncomfortable implication of this is that we do have a large and growing urban population which is basically fed by the larger scale White farming sector. And we also earn significant amounts of foreign exchange for exporting citrus and macadamia nuts and so on. The implication is that you have to be careful about targeting. You should not aim to destroy those big productive guys in the short run. We should require them to support the process. You can get them to do that by saying we are not going to expropriate you or target you on condition that you help the process, that you are part of the solution, not part of the problem. So in the large scale sector, the top 10% or maybe top 20% if you want to be generous, produce 80% or 90% of produce of value. That’s usually the high value produce. But of course people don’t like it because in principle the big fat cats are the ones we should target first. BC: Morally. But pragmatically, would that be wise? There are too many people, swamping and burning the earth. That’s the real problem. Could you please publish at least a link to the research done by Ben Cousins?